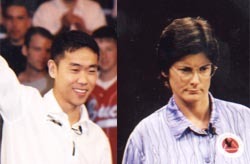 The 2002 Billiard Congress of America Open 9-Ball Championships offered a touch of the expected, and a touch of the unexpected. Few were surprised to see top-ranked Karen Corr walk off with the women’s division title, which she secured with a 7-4 win over sixth-ranked Vivian Villarreal in the final. The men’s division, however, was a different story. 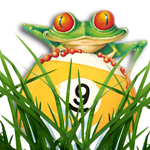 the “BCA Open 9-Ball” link above for complete coverage.